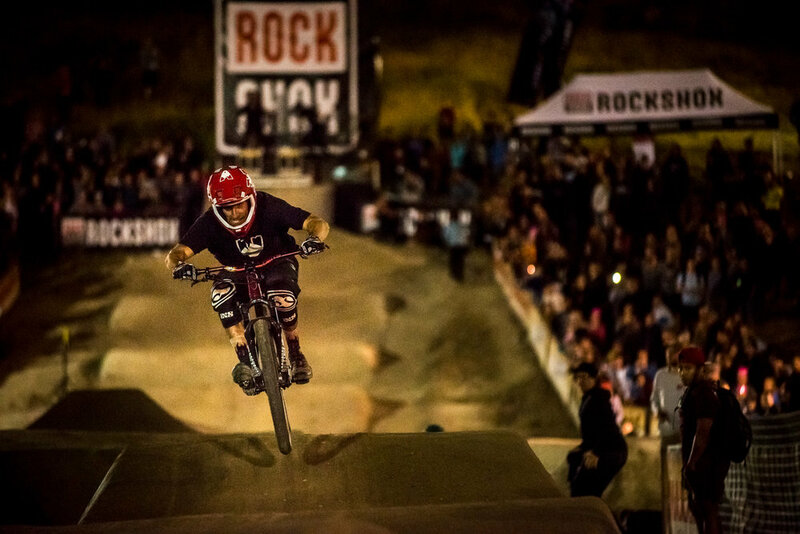 The pump track series is always a good one for the spectators, short course head to head racing bringing together riders from all disciplines. It's a great place to grab a beer and stand on the sidelines where you can watch the entirety of the track, as the racing progresses. The series finale here in Whistler was a tiny bit different, with the Rotorua and Innsbruck tracks having the riders finish under where they started, and the Innsbruck track even having a 'figure 8' style cross over in it, the Whistler track was more like a drag race. Two lanes, straight down. This made for some seriously fast races. A drag race, downhill from the start. The big battle in the womens race was between Jill Kintner and Caroline Buchanan, Caroline already winning both Rotorua and Innsbruck, with Jill claiming Les Gets. Jill had to win this one for a shot at the overall series win, but it wasn't to be with Caroline's BMX skills putting her accross the line first. The final battle between Jill Kintner and Caroline Buchanan. A happy Caro after taking the win. Taking the overall series win as well. In the mens, all eyes were on Adrien Loron, to see if he could sew up the overall series win, and most likely the King of Crankworx title along with it. However, Caroline Buchanan had bought her BMX team mate over with her, 2017 BMX World Champion, Bodi Turner. Bodi had never raced a MTB event, let alone a Crankworx, but that being said must have found his stride as he walked away with the win beating out Mitch Ropelato, and really putting a spanner in the works for Loron. Adrien Loron pushes hard to put himself into the best place for the 'King of Crankworx' title. Not enough room to stop when you only have a back brake. Mitch Ropelato just edges out Adrien Loron to go into the big final. Aussie BMX champion Bodi Turner throws a spanner in the works. Bodi just in front of Mitch as they come across the line. A gold medal on his debut MTB event. Check out some of the action from the night. Martin Soderstrom sends into the finish line trying to make up any time possible. Everyones in good spirits at the end of the night.